You asked for it, so here you go. (FYI, all this happened about a year ago, in the summer of 2011). I don’t even know where to begin – basically, it is a horrible car seat. I would like to slap myself for ever falling for the bells and whistles of the swivel/dock feature Orbit is so proud of. I recommend you to stay away from the Orbit Baby Toddler Car Seat – whether it is G2 or not. Your wallet will thank you and you will save yourself a headache. If you feel like reading why, go ahead. Pretty tiny, right… There is absolutely NO WAY a 3-month old baby would ever be comfortable in an upright position when they can’t even sit. Actually, they shouldn’t be in an upright position this early at all! 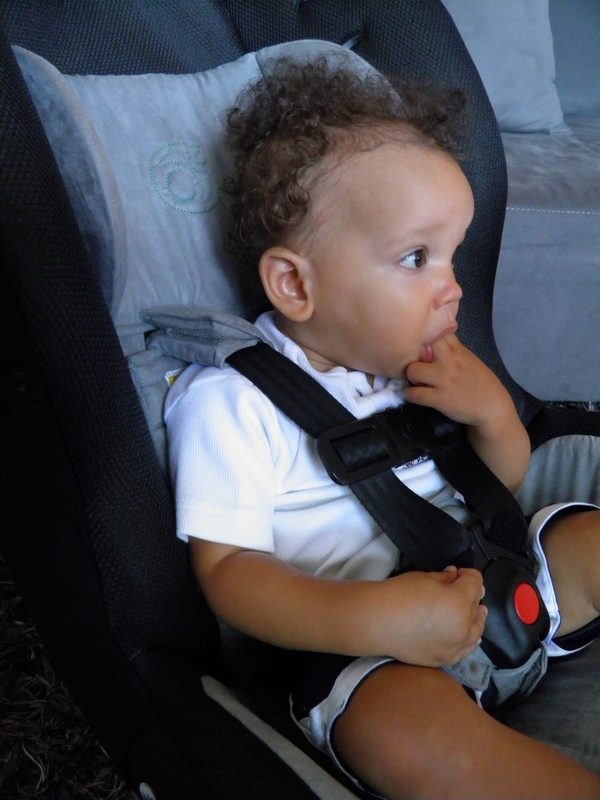 I tested the seat with my 12-month old son who had 22 pounds at the time and measured 31 inches (BTW, the infant car seat is for babies up to 30 pounds or 32 inches, so he was only 1 inch away). Do you think my 12-mo/22-lb/31-in baby was comfortable in his new toddler car seat? … No, he was not. We drove for about half an hour (we couldn’t take it longer), he slept and his poor head was literally resting on his chest. It looked horrible and very uncomfortable. For those who think it is normal, let me assure you that it is not. I have used Chicco and Maxi-Cosi convertible car seats in Europe and they all recline, so I have never experienced this problem. I knew instantly I would be returning this seat. Which is exactly what I did. I only owned this seat for 4 days, therefore I didn’t get a chance to experience any problems with the belt twisting as reported by so many people. Another major con is that this seat has only 4 harness slots to adjust harness height, of which only 3 are allowed for either direction (G2 model). That’s TOTALLY inadequate – other convertible car seats offer double or even triple the amount (Britax Next Generation: 10 slots, Maxi-Cosi Pria: 12 slots). This important detail (along with the fact that it doesn’t recline and that you can’t use the swivel base while forward facing) is conveniently not mentioned at the Orbit Baby website. You’ll discover this when you take the seat out of the box and read the manual which will leave you utterly disappointed. “We are not aware of any convertible car seats that have a recline position.” … Really??? How about Britax, or Maxi-Cosi to name a couple (they have the same safety features like Orbit, such as the EPP foam and side impact protection). Britax, for instance – all of their convertible car seats allow for a 3-position recline both while rear and forward facing. Maxi-Cosi PRIORI model has 4 recline positions when forward facing. Maxi-Cosi PRIA 70 has 3 recline positions – position 3 (most reclined) and 2 (medium recline) can be used while rear facing. Position 2 (medium recline) must be used while forward facing for children up to 40 pounds. Position 1 (upright) must be used while forward facing for children over 40 pounds (notice – over 40, not 15 as recommended by Orbit). Interestingly, Maxi-Cosi seems to believe (just like me … or maybe it’s just common sense) that toddlers/children up to 40 pounds should be seated in a more reclined position. Their website explains it as follows: These recline positions allow a more reclined riding position for younger children and a more upright position for older children. Not only does this provide an appropriate riding position for different sized children, but the required recline angles also improve crash energy management. On the head falling forward: “We understand your concerns and see the same phenomenon when our own children nap using the Toddler Car Seat.” … Phenomenon?! More like a poorly designed, overpriced car seat that lacks BASIC features! “We have never received any information – from pediatricians or otherwise – that when children sleep in these seemingly awkward positions, it is somehow bad for them.” – Uh, how about just incredibly uncomfortable!? “There are many general techniques that you can use so that your child is more comfortable. Some include a towel, foam wedge, or pool noodle that can be used to prop the Base.” – A pool noodle??? Are you kidding me? No, thank you, I will not be sticking any towel or pool noodle under the car seat base to recline the seat. The towel/pool noodle option doesn’t seem safe and frankly it is a very sloppy recline solution for a $600 ensemble and to be honest I am appalled by their suggestion. Rather than a pool noodle, I got a different car seat. I am extremely disappointed with the Orbit Baby toddler car seat due to its lack of otherwise standard features. The fact that they are not aware of the reclining function tells me that Orbit is way behind its competitors. nor will you be able to dock the seat into the stroller frame (unless you want to install it over and over again which is beyond annoying). Hence, once forward facing, the famous swivel feature cannot be utilized. Orbit also likes to repeat that the toddler car seat can be easily docked into the stroller frame thanks to the wonderful base they invented. If you think you can just grab the toddler car seat, lift it with your sleeping child in it and dock it into the stroller frame, then trust me, you can’t unless you are the Incredible Hulk. The seat is very bulky and heavy (22 pounds), I struggled with the seat alone, I sure as heck would never be able to lift it from the back seat (a very awkward angle) with a 20+ toddler in it. Never. 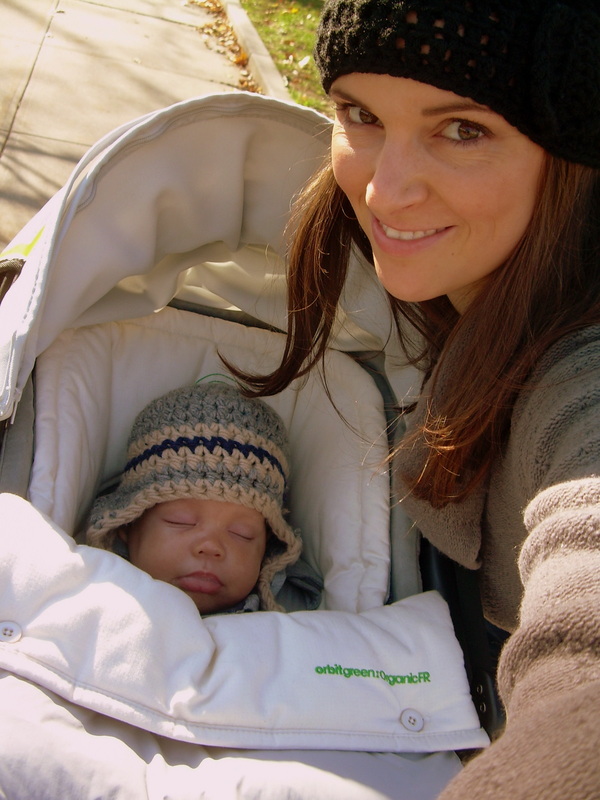 After an extensive and exhausting 6-month research we finally purchased a Maxi-Cosi Pria 70 Convertible Car Seat in Walnut Brown and we love it – it was cheaper, it reclines, it is comfy and safe, and my son is pretty happy riding in it.